Brookdog Fishing is a Western New York Fishing Guide startup company owned by Ryan D. Shea. He recently moved his family back to Buffalo, NY after serving extensive time in the US Marines. With retirement in the future, Ryan decided to follow after his dream and passion of fly fishing. 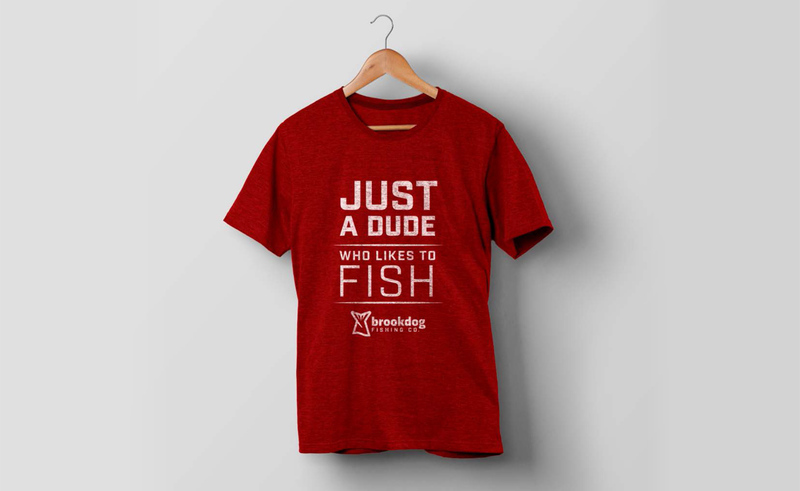 Inspired by camaraderie between brothers and close friends while fishing and camping in the wilderness of New York and Pennsylvania, the goal of Brookdog Fishing Company is to provide their clients with the best fishing experience possible while developing lasting friendships along the way. This project shows the finalized fishing logo design for Brookdog Fishing by our NY branding and logo design agency.